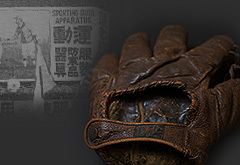 Tracing the steps Mizuno has left in the sporting world since its founding in 1906. 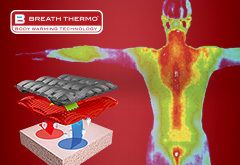 Mizuno's Breath Thermo technology provides a heat-generating fabric with a new thermal insulation mechanism that absorbs body moisture and uses it to generate heat. It even helps deodorizing. every generation of Mizuno products has combined meticulous craftsmanship with restless innovation. With over 70 years of expertise, Mizuno produces the finest forgings, with the tightest, most uniform grain structure available, for an unparalleled feel.